As the year is coming quickly to a close, we want to send off our 2016 RBHS Seniors with a huge hug and a heartfelt CONGRATULATIONS! 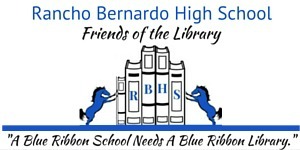 We will miss you and your smiling faces in the library and hope you take with you the love of books and learning we shared with you during your years at RBHS. Come snap a selfie to fill in our Class of 2016 display celebrating YOU!